We wanted to share with you guys some of the amazing shops and venders we have found over the years! These places have either contributed to our shoots, have been apart of the weddings we have had the pleasure of shooting, or are great family owned shops that we love! Whether you are looking for DIY succulent ideas, succulent care or to buy succulents Needles + Leaves is your place! The care they show for their plants and clients is outstanding. These two crafty ladies will provide you with the utmost care and products for your big day! There are not enough good things I can say about this place. I love work with them, buying from them, and visiting their coffee shop Captains Grounds. If you are looking for cute affordable vintage clothing check them out. They will not disappoint! Trumpet and Horn has a wide selection of vintage and new jewelry. They are so kind and professional. Being able to use their weddings rings as apart of my shoots is such an honor. I highly recommend everything they have to offer. Katie is such a sweet soul. After spending just a few minutes together you will be laughing like old friends. Pick her for your big day or any special event and you won't be sorry.Katie goes above and beyond with her dedication to her craft and her clients. Katie has a special way of making everyone feel and look absolutely stunning. 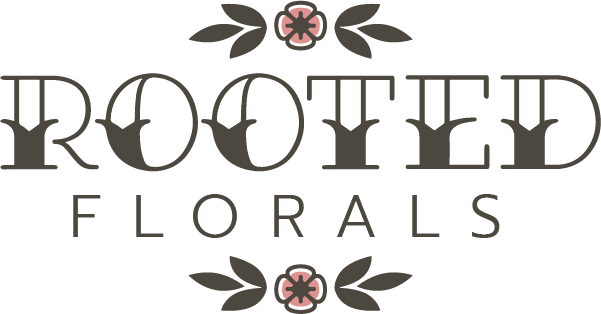 Joely, the heart behind Rooted florals is such a sweet heart. Her grace and elegance is shown in her work. If you are looking for a beautiful bouquet of flowers or table center look into her work. Just seeing her beautiful work online brightens my day. Talk about beautiful dresses! This shop is filled with such elegant gowns. Working with them was such an amazing experience. If you are looking for a shop to by your dream dress, this is your place. If you are looking for a videographer this is your man. Chad will bring your special day to life over and over again for the rest of your life. He's honestly the most artist videographer I know. Everything he creates amazes me. If you hire him you will not be disappointed. I first walked into Metaphor Boutique a few years ago and instantly fell in love. The clothing, the jewelry, the decor.. Everything is beautiful. Working with them is a pleasure and I can't wait to do so again.